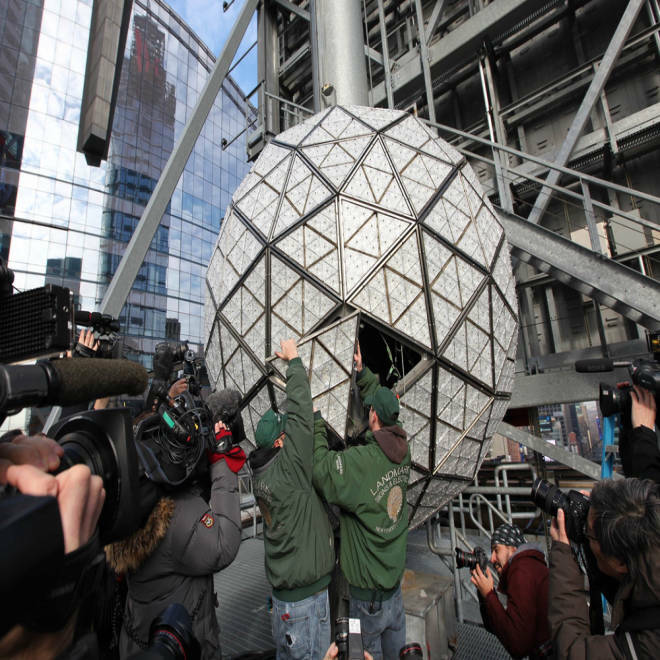 Workers assemble the 2014 New Year's Eve Waterford Crystal ball during its installation at One Times Square on Dec. 27, in New York City. Who says only tourists go to see the ball drop in Manhattan's Times Square on New Year’s Eve? U.S. Supreme Court Associate Justice Sonia Sotomayor, a Bronx native, will be in charge of pressing the button that activates the 60-second descent of the sparkling ball to celebrate the introduction of 2014 in Times Square, organizers announced Sunday. The justice will usher in the New Year in front of more than 1 million people who will gather in the center of New York City and the 1 billion people who will be watching the event on TV screens around the world, according to the Times Square Alliance, which organizes the yearly show with the help of Countdown Entertainment. “Justice Sotomayor is an inspiration to many, and it is a privilege to welcome her to our celebration to ring in 2014,” said Times Square Alliance President Tim Tompkins in a statement. “Who better to join us in the Crossroads of the World than one of New York’s own,” he added. U. S. Supreme Court Justice Sonia Sotomayor will take center stage among about 1 million revelers in New York's Times Square to usher in 2014 by pressing the button to lower the countdown ball, organizers said on Dec. 29. Sotomayor was appointed to the Supreme Court in 2009. She was the first Hispanic and third woman ever to earn a position as a Supreme Court justice among the 110 justices who came before her. 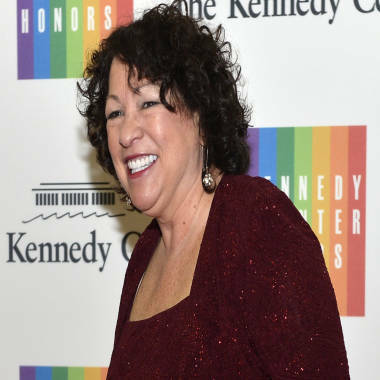 Sotomayor will add another groundbreaking milestone to her list, as she is now the first Supreme Court justice chosen to push the crystal-covered button in the 106-year history of the event. She will join the company of Bill and Hillary Clinton, Lady Gaga and Muhammad Ali, who have all held the honor in the current millennium. Performances by Blondie, Miley Cyrus and Macklemore & Ryan Lewis will precede the grand moment. Melissa Etheridge will carry out the tradition of singing John Lennon’s "Imagine" as 2013 comes to a close.